The name Joe Bortz needs no introduction for fans of historic concept automobiles. His reputation precedes him as the man who made concept-car collecting a serious reality, and a big draw at international exhibitions. The first big step came years later, when he purchased a 1928 Chevrolet coupe. It was pulled to his house on a towrope and signified that Joe had officially caught the collecting bug. His next acquisitions included a 1930 Chrysler Model 70 roadster and a 1931 Cadillac V-8 convertible coupe (the latter bought for $1,500, a lot of money back then). In fact, Joe couldn’t afford the authentic whitewall tyres for the Cadillac. Instead, he bought truck tyres and painted them white. After a while, the young collector began trading his rolling works of art. His further buys included a coveted Packard V-12 Dual Cowl Phaeton and a 1931 Duesenberg Rollston Victoria. 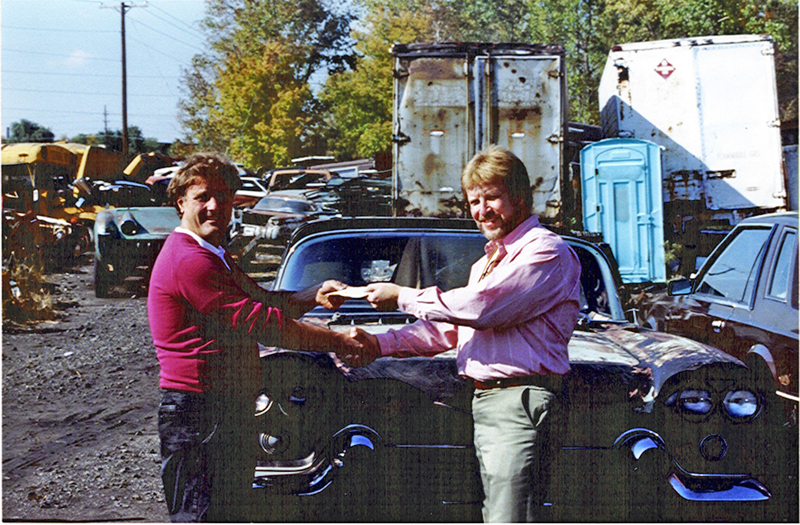 By the 1970s, limited-production American cars of the 1950s became the focus of Joe’s collecting passion. These included cars like the 1953-58 Cadillac Eldorado and the 1954 Buick Skylark – very rare automobiles, some of whose productions were limited to just 500 examples. Initially, Bortz’s friends thought that he was crazy for focussing on still-recent 1950s automobiles. But, over time, his collection grew in size and magnificence… until one day an opportunity to buy a one-of-a-kind motor sealed his fate as a collector. Bortz jumped at the chance to own the Bonneville Special. It would be the first-ever concept car to grace his collection. 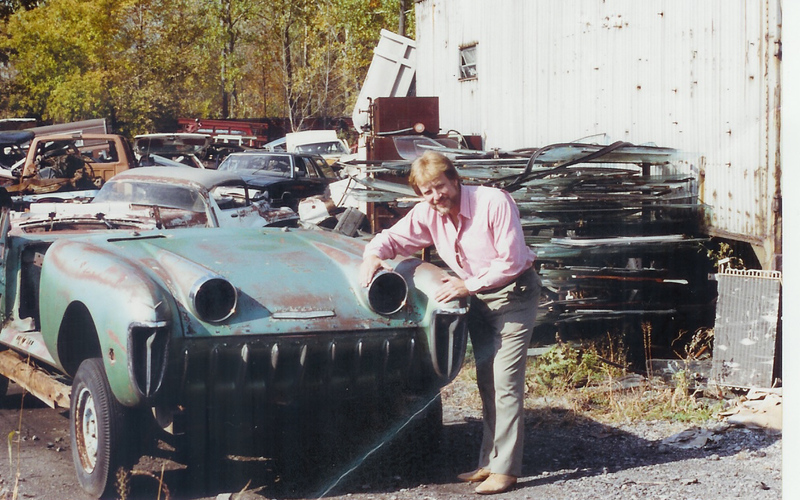 This was an especially unique find, as it was typical for car manufacturers to send concept cars straight to the crusher after they had dazzled onlookers at exhibitions. Through further digging, Bortz learned that cars could often escape the crusher. Sometimes, they were either hidden away in the yard, like the 1955 La Salle II Sports Coupe, or cut-up and left to rot in pieces, like the 1955 Chevrolet Biscayne. What’s more, the fate of these cars was often a source of much upset for their designers. For many, these concept cars represented the finest work that they would ever produce. 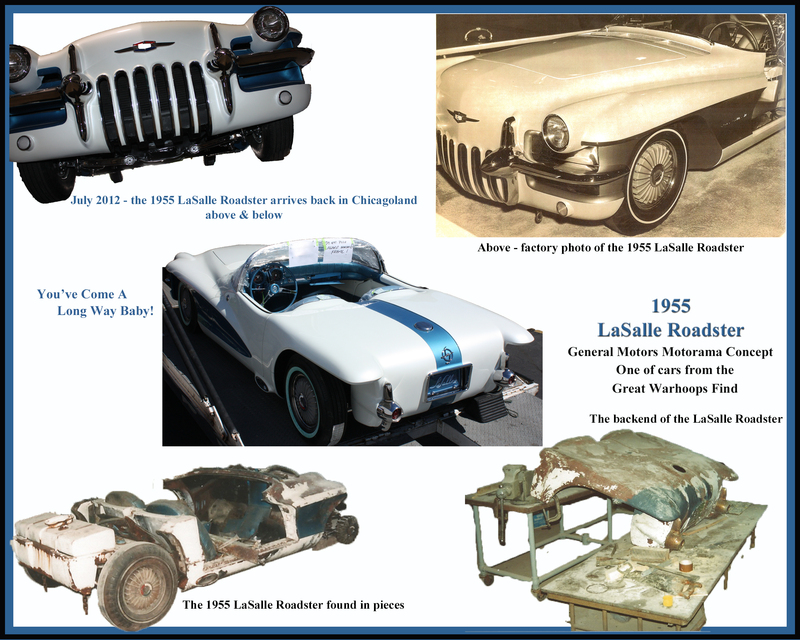 “A designer would go into the executive’s office and cry – literally break down and cry,” Bortz told the car publication Hemmings Classic Car in an interview. On occasion, a chairman would allow the designer to keep the car. But such instances were rare, with many high-level execs making no secret of their disregard for these temporary ‘fantasy’ automobiles. By the early 1980s, Bortz was actively hunting concept cars from bygone eras as more and more examples of the historic cars came to light. “Nobody was looking for them,” he later said of his newly-discovered niche. At the same time, Joe’s phone had began ringing when news of his acquisition of the Bonneville Special spread around collectors and dealers. It soon became clear that his transformation into being ‘the saviour of old concept cars’ was complete. Ever since, Bortz’s mission has continued to this day. He continues to return yesterday’s dazzling concept vehicles to their former glory, and has a reputation which has stretched across the globe. All of this brings us to July’s Concours d’Elegance of America. 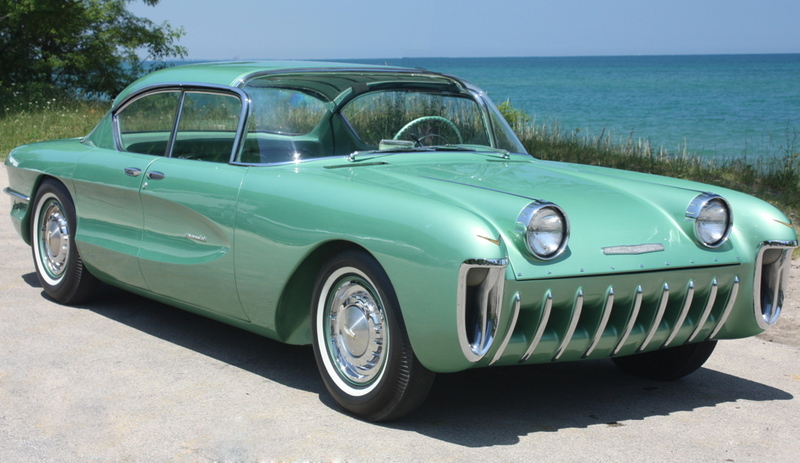 The prestigious event will bring together four cars from Bortz’s collection – the 1954 Pontiac Bonneville, the 1953 Buick Wildcat, the 1953 Pontiac Parisienne and the 1955 Chevrolet Biscayne. The occasion will mark the first time these four cars have been seen together in public in more than 50 years. In particular, the 1955 Chevrolet Biscayne is now in restored show condition (as shown in the above video). This entry was posted in Car Collecting. Bookmark the permalink.